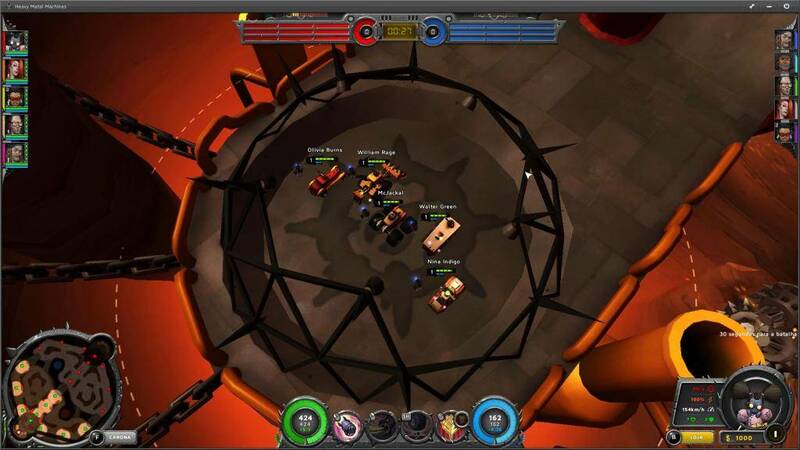 Action-based vehicle MOBA - Get wild and rowdy in this 4v4 vehicle PVP game where the best team of drivers will prevail. What do you get if you mixed Rocket League, Mad Max and heavy metal music together? 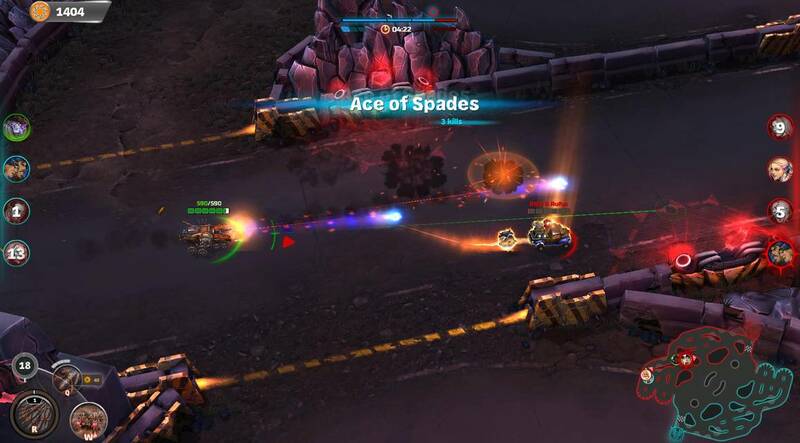 The answer is a highly addictive and unique vehicle PVP game called Heavy Metal Machines. Released in January 2017 by Hoplon, Heavy Metal Machines is a brand new car battle game that will get your adrenaline going. Eight players in teams of four will go head to head in matches that are fast-paced and action packed. The game is already available on Steam under the Early Access program and is completely free to play. After a download of roughly 2 gigs, players can jump into the game and will be greeted by the tutorial which teaches you the basics of the game. 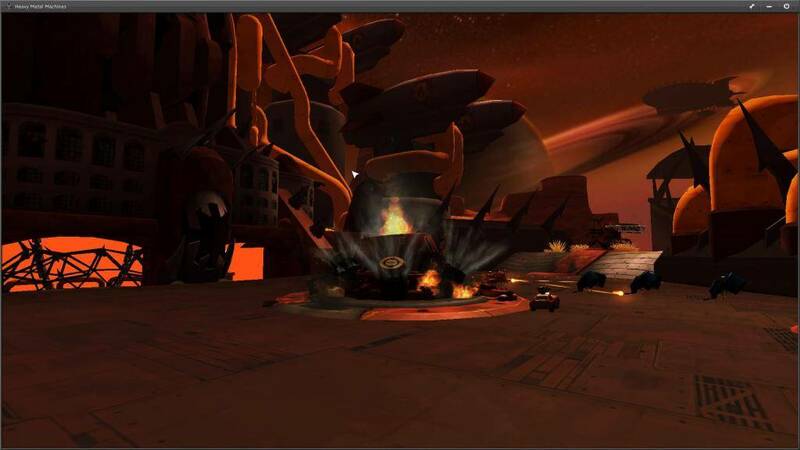 Heavy Metal Machines can be played using either keyboard and mouse or with a controller. 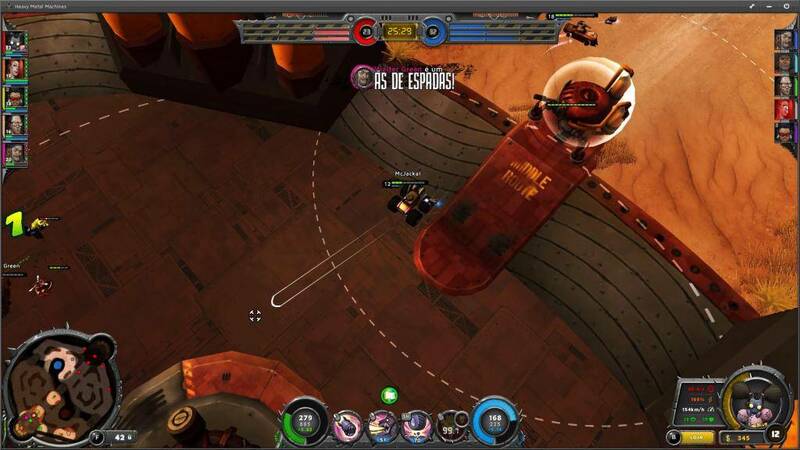 Heavy Metal Machines is all about team PVP, but the concept of the game's matches is definitely unique. 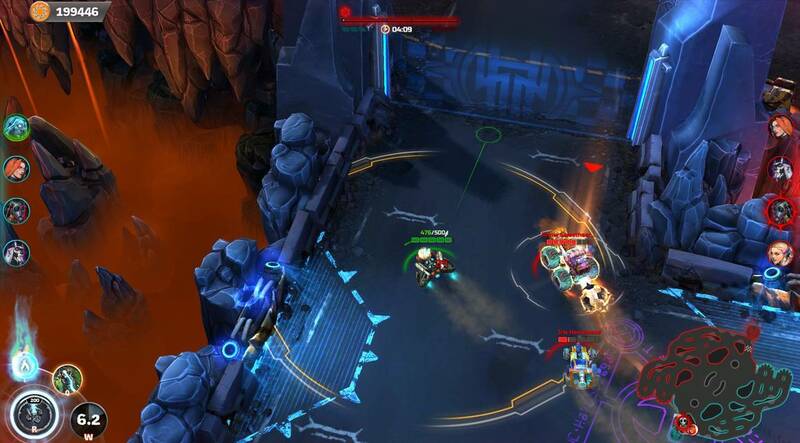 In teams of four, your team must collect the bomb in the middle of the map and destroy the opponent's base by dropping off the bomb there. The first team to do this three times will win the game. However, only one player can carry the bomb, so the other players must try and make them drop it by firing weapons and using traps and other skills that are unique to the vehicles they pick. 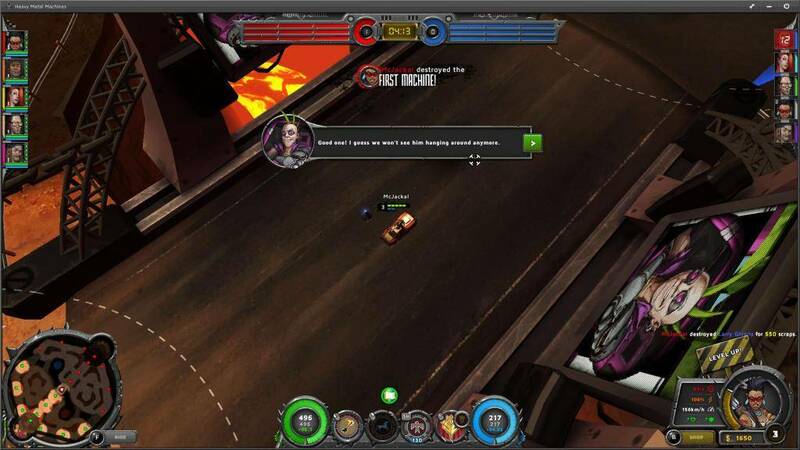 Players can pick from a wide pool of vehicles and drivers, and there are three classes available at launch. Transporter cars are fast, and their sole purpose is to pick up and deliver the bomb as soon as possible. Support cars are responsible for repairing their teammate's cars if they've taken damage, and finally, the Interceptor cars must deal damage to stop the Transporters from delivering the bomb. 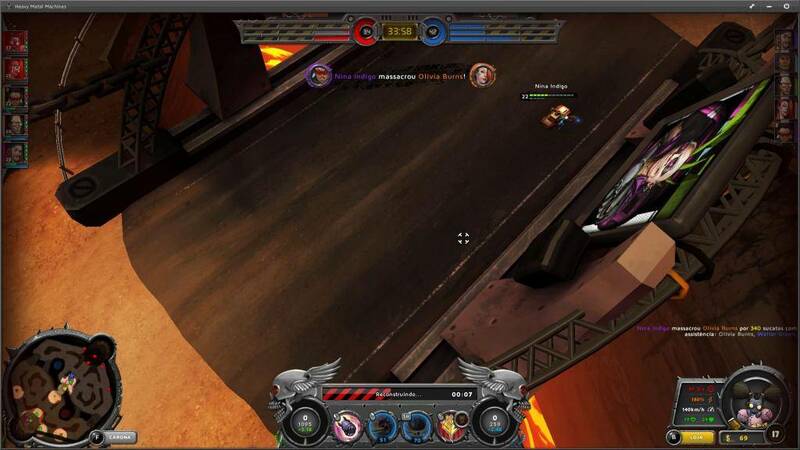 Players move their cars in matches by holding down the left mouse button, and steering can be done by moving the mouse. There are dedicated keys for firing weapons and using a speed boost as well, but these take time to recharge. 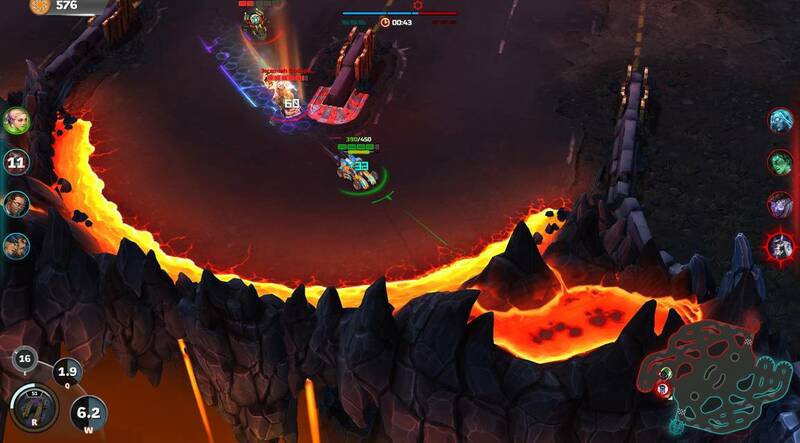 Throughout the match, destroying enemy cars will earn you cash that you can spend during the game to upgrade your car's weapons and abilities which is important during the latter stages of a match. 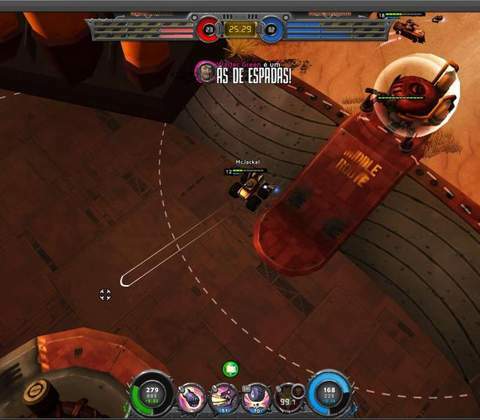 In some ways, the gameplay has similarities to MOBA games but is much cooler in its execution because what else can beat rock and roll death racing? In some ways, the gameplay has similarities to MOBA games but is much cooler in its execution because what else can beat rock and roll death racing? There are two progression mechanics in Heavy Metal Machines. Every time you complete a match in Play or Practice mode, both your player profile and selected car will earn experience points towards the next rank. When a car reaches a certain rank, it unlocks daily quests that you can complete to earn cool rewards for that particular car. 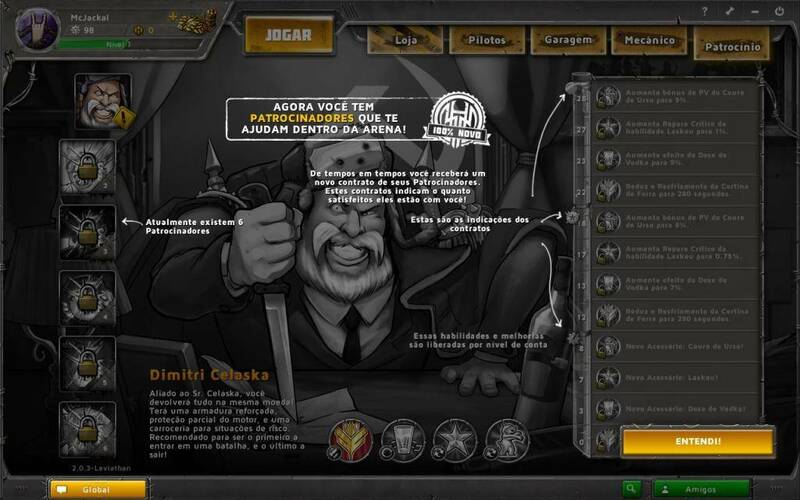 The second progression mechanic involves the earning of currencies. 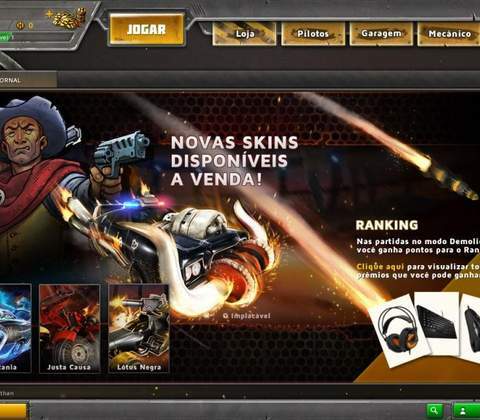 Players can earn Fame and Cash for playing and performing well in matches. These currencies are needed to buy and unlock better cars in the store to your advantage. What's great about Heavy Metal Machines is that there are no car rotations and there are no premium cars that can be bought for real money. Therefore, everyone has a fair shot at earning the best cars by simply playing the game. And for those who love customizing their cars, Heavy Metal Machines also gives players the option to "pimp" your rides with cool looking paint jobs and kits to style your cars the way you want to. Another exciting point is that it's still early days for Heavy Metal Machines and the game has a lot of potential to grow. 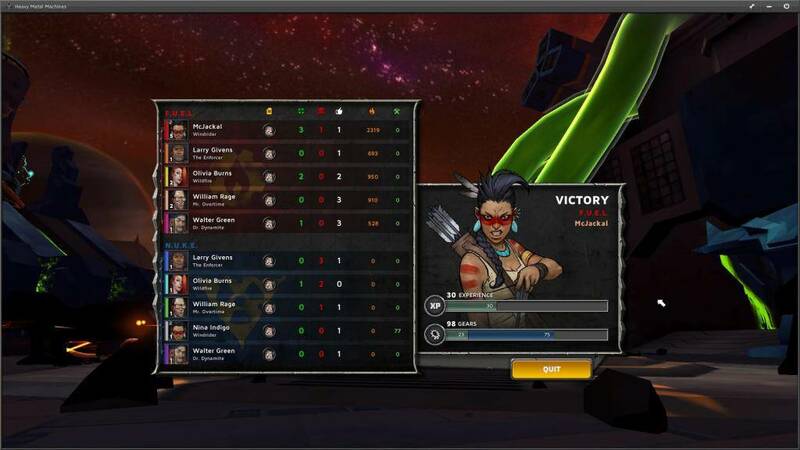 Even right now, there are modes not available such as Ranked PVP matches that will be fun to participate in, so teams can challenge for the honor of being the best in the land. And since the game is on Steam, there could be a possibility of Workshop integration, which means players could develop mods that can enhance the game in different and creative ways. One of the best things about Heavy Metal Machines is how the game catches your eyes and ears with its attitude. 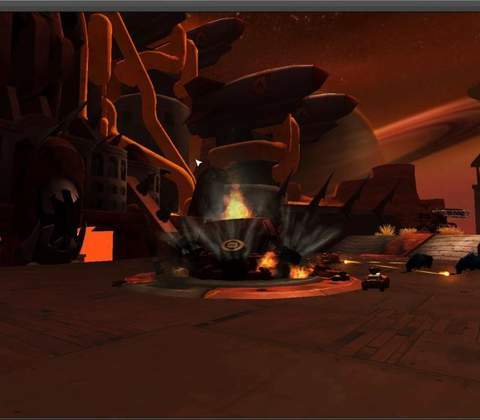 There is a rich post-apocalyptic theme that reverberates throughout the game, and it shows in the design of the characters, the drivers and in the cars. Everything is colorful but not over the top, and the graphics does the game a great service which is surprising considering how small the game file is to download. The icing on the cake is definitely the game's rocking soundtracks, which you can immediately tell that it's a high quality production. Screaming distortions from a variety of heavy metal tracks play in the background during matches which definitely helps the atmosphere and gives the game a high-octane environment, like what Rocket League has achieved in their game. 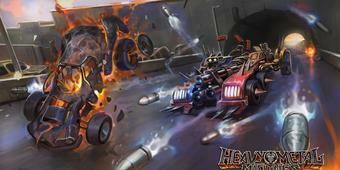 If you're looking for a free to play vehicle based PVP game then look no further than Heavy Metal Machines. 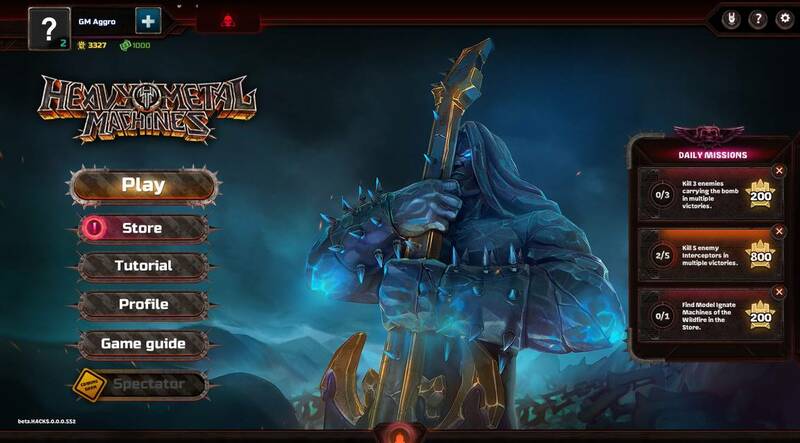 This MMO has all the characteristics of being a classic, thanks to its unique gameplay that makes matches fun and addictive. Car lovers will also get great satisfaction from the amount of vehicles and customization options in-game. There's just enough classes to make things interesting, and every car has it's own unique weapon combos to cater to a wide variety of play styles. On top of that, there isn't any paywall or pay to win elements so everyone has a fair and even shot at progressing toward getting the best vehicles in the game. To wrap it all up, if you enjoy a Mad Max setting with loud rock music, then you'll definitely enjoy this one of a kind PVP game. Ready to enter the world of Heavy Metal Machines? 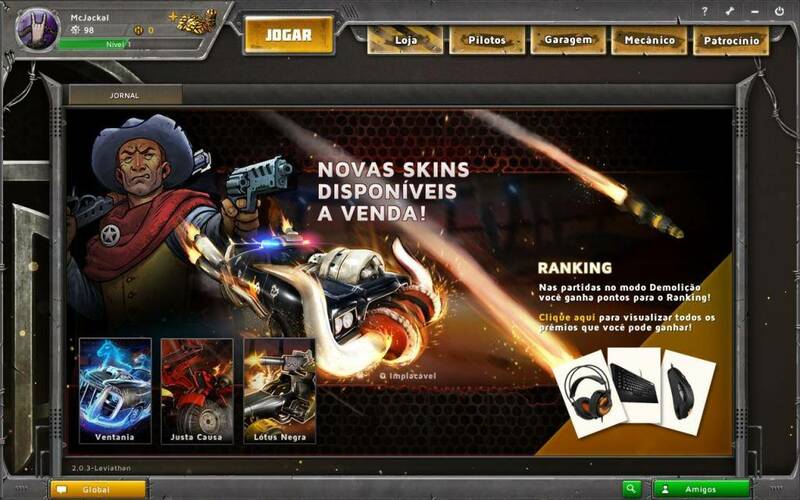 Click here to play now! 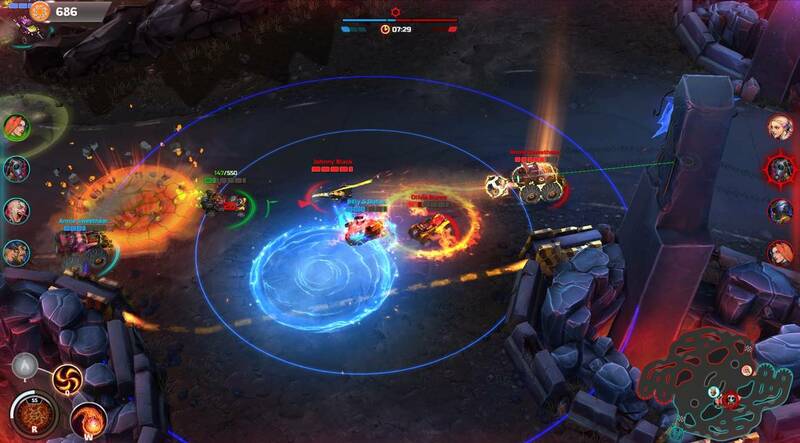 Heavy Metal Machines marries high speed racing, vehicle destruction and team-based mechanics all into one, providing players with memorable, fast-paced and fun matches that replicates the adrenaline of playing a MOBA without actually being a MOBA game.